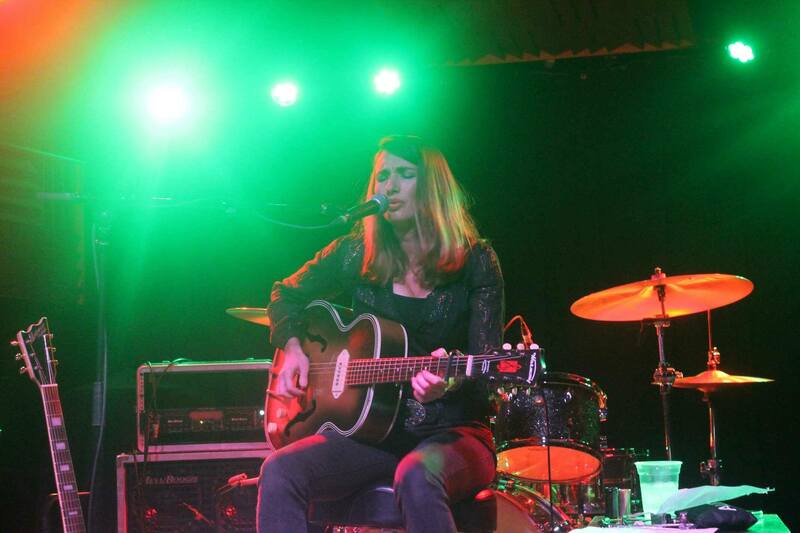 The new year finds Molly Gene on a familiar path – soon after 2018 turned into 2019, she was on the road again, touring with Freight Train Rabbit Killer, which started in St. Louis on Jan. 3 and ended in Fort Meyers, Fla. on Jan. 12. The tour was a reunion of sorts for the Kansas City-based masked doom blues duo and the first lady of Delta Thrash, the sound Molly Gene pioneered, which is an amalgamation of Delta Blues and aggressive hard rock and heavy metal. The bond between Freight Train Rabbit Killer and Molly Gene came to be a few years ago. They toured in Europe last summer, which was Molly Gene’s fifth European tour but the first European adventure for Freight Train Rabbit Killer. Johnny Cash’s “I’ve Been Everywhere” probably more so applies to Molly Gene more than anyone you know. After arriving back in her hometown of Warrensburg, Mo. at the beginning of 2018 from a sojourn to San Francisco, she graduated from University of Central Missouri with a degree in psychology in the spring of 2018. During that time, touring was placed on the back burner in order to devote time to her studies. Playing out and touring resumed after the completion of her degree. Instead of doing the graduation walk in cap and gown, she was on her way to Chicago to play the MoonRunners Music Festival. Gene said she wound up on the bill after being asked by Pat Kay of the Kay Brothers “I said heck yeah,” Gene exclaimed. Molly Gene was the first on stage – as she was the opener, she served up a shorter set than what I’m used to seeing her do. Her rendition of Mississippi Fred McDowell’s “Louise” that night was the type of stuff that shakes the walls with a paint-peeling intensity. Molly Gene’s set mixed songs from her existing collection and added some more recent work as well. “Delta Thrash” was the sound of a whiskey soaked Saturday night, and “Trailer Tracks” was Sunday morning’s grace. These two works created a contrast and stood as proof that Molly Gene is a multifaceted musician. Molly Gene’s musical evolution continues, as she has more taken to the Web, posting new songs, many with a more rustic, folk sound, via Facebook and You Tube. A new, yet to be released, Molly Gene album is now on the horizon, though she hasn’t set a specific release date. “I’ll start recording in the next few months, and I want to get it out by next summer,” Gene stated. With the tentative title of “Night and Day,” her new album is set to contain both heavy and folk inspired songs. “I could do two separate albums, but I think it would be cool to do it all on one, as like, here is what Molly Gene does,” Gene said. For more, follow Molly Gene One Whoaman Band on Facebook here.